Modifying your new car won’t automatically void your manufacturer’s warranty. But it may cost you depending on the mod. Here is what you need to know. I got a few questions the other day about vehicle modifications and whether a manufacturer can void your warranty over them after I mentioned the Magnuson Moss Warranty Act. A few astute readers pointed out that one of the other things Mag Moss did was forbid manufacturers from requiring consumers to use any particular brand of “article or service” to invoke warranty coverage. So, they can’t dictate what brand of parts you put on your car during the warranty period. Mr. Goodwrench, Motorcraft and Mopar are optional. But simply swapping parts is not the area of greatest concern here. The real concern is vehicle modification. Many modifications people do to their cars fall outside of the “article or service” contemplated by the statute. 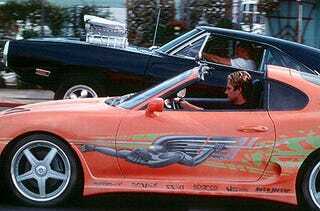 Suppose you loved the way Vin Diesel could pull wheelies in 13th gear in his Charger and figured a little of that “NOS” would do the same for your car. Even if your little four-banger won’t pull wheelies in any gear, it now puts out a few more horses than before. So, if you find the transmission spitting out teeth like it’s been punched in the mouth by Mike Tyson, you can bet the manufacturer might blame the problem on the increased power being fed to the trans. The Magnuson Moss Warranty Act requires manufacturers to honor their warranties and auto manufacturers only warrant their vehicles against manufacturing defects. Your claim here could be denied because the failure was not due to a defect in a factory component. 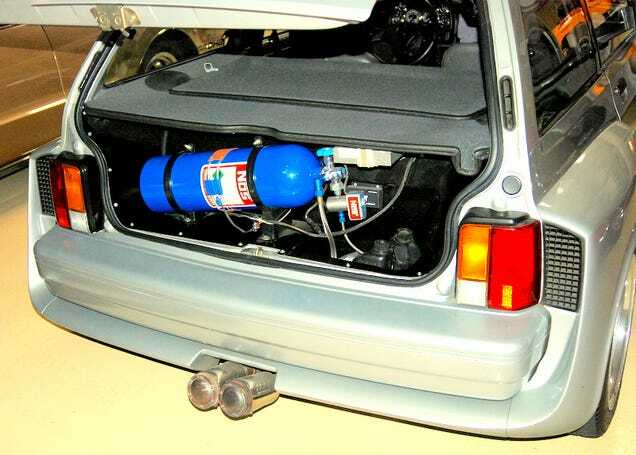 It was caused by something added to the car: the nitrous oxide injection system which was not part of your car to begin with. That system caused a non-defective part to fail. Your mod did not void the warranty. It’s just that the failure was not caused by a factory defect. Expect your warranty claim on your drivetrain to be scrutinized if you come in with a hopped up ECU. These claims are routinely denied so long as the failure appears to be related somehow to the new – altered – performance parameters of the ECU. And this is perfectly legal according to the Federal Trade Commission which is the government entity charged with creating rules to implement the Magnuson Moss Warranty Act. Many factory warranties also broadly exclude coverage for “racing” or “high performance” aftermarket parts and failures associated with them. Again, manufacturers can legally do this. If you slap a high performance cam in the engine and the engine fails, the manufacturer will likely argue that the cam caused something else to fail which would not have failed but for the bumpy cam you threw it. Is this fair? Depends on how you look at it. Read any Owner’s Manual you can get your hands on and you will see these warnings. Some might argue that you shouldn’t have bought the car if you disagreed with these limitations. Obviously, an aftermarket camshaft or a hopped up ECU won’t void the entire warranty on your car. The master cylinder failed? The blue tooth quit working? Unless there is a logical connection between the mod and the part or system that failed, you should be good to go. I know there are many mods – like the one pictured above – you can’t just swap in and out whenever you feel like it. In those instances, be prepared to intelligently make the case for why that mod did not cause the problem you are complaining of. And if the dealer shoots you down, ask to speak to someone from the factory if they haven’t already been consulted. Clutch Broke With Only 11k Miles, Dealer Blamed Me. I’ve had people tell me that the seller of the performance parts assured them that the new parts would not affect their warranty coverage. To that, all I can tell you is that they are not the one who has the final say on that; it’s the manufacturer. Perhaps you should show them where your Owner’s Manual addresses aftermarket racing parts and configuration changes to the vehicle. Ask how their product does not fit in those categories. So, you can use any type of part or service you want during the warranty period so long as it does not alter or reconfigure the car from its factory specs. In the cases which do, you might run into problems getting warranty coverage for failures associated with those parts or modifications, especially if the parts are designed for racing or high performance. And as always, consult with a local attorney when in doubt. You bought a car and a couple days later the dealership comes by in the middle of the night and steals it back from you. Surprised? It happens all the time. JT went to a car dealer and found a late model used vehicle he liked. His credit was okay – not stellar – but good enough to allow him to finance the car without getting a co-signer. The salesman and the others involved in the deal kept coming and going from the desk where he was sitting, bringing papers and talking about different lenders but assured JT they could get him financed. He had $1,000 for a down payment. As closing time at the dealer approached, they put some papers in front of him and said they had worked everything out. He signed and gave them the $1,000. He got in his new (but gently used) car and drove home. A few days later, the salesman called him and told him there was a “problem” with the paperwork. Could JT come back to the dealership? JT went in and found his salesman who took him back to see the finance people. They told him that the bank which had approved his loan the other night had reneged. The good news is that they had found him a new bank and this one would move forward with a loan – even though JT already had the car – and only at a slightly higher interest rate. The papers were all filled out for JT’s signature. They wanted to tear up the paperwork from the other day. I have heard from many consumers who sat down and signed the new papers at this point. Instead, JT said words to the effect of, “Gentlemen, I believe you are attempting to be dishonest with me. Hence, I shall exit now.” I wasn’t there so we’ll go with that. The next morning he looked at his driveway and his car was gone. He called the police to report the stolen car. Shortly after, he was notified that the car wasn’t stolen; it had been “repossessed” by the dealer. When he called them, his salesman said they were forced to do that when JT had refused to sign the new papers. All he had to do to get the car back was sign the new papers and pay the towing bill. The car was at the dealer. If he did not want to do that, they would simply keep his down payment for their troubles. JT called an attorney and brought in all of his paperwork. Please keep in mind that this transaction took place in Michigan and this is an area of law that varies wildly from state to state. In JT’s case, there was a Purchase Agreement which was signed by both parties. And then there was a finance contract. That contract was typical for Michigan in that it said that the buyer and seller agreed to a financial arrangement (down payment, monthly payments etc) and that the dealer was then authorized to assign the loan to a lender. But, it was the seller who was initially lending JT the purchase money. What had most likely happened was that the assignment of the loan had failed. The dealer hadn’t gotten anything approved and just hoped they could find a bank willing to take over the deal. Or, they had planned on ripping off JT all along. Interestingly, this meant JT could simply make his monthly payments to the dealer until they managed to reassign his loan and he would not be in breach. Of course, the dealer was not trying to reassign the loan; they were trying to shake him down for more money. I advised JT to make his monthly payments to the dealer and we filed suit. The transaction JT saw is sometimes called a “Spot Delivery” – although those are quite often cases where the vehicles are given to the buyer without even pretending there is financing in place. In JT’s case, they told him the financing was there. These deals are also sometimes called “Yo-Yo Financing” for obvious reasons. Our lawsuit was simple: JT owned a car. The dealership stole it. We sued them for theft. Michigan has an interesting law that allows you to sue a thief for treble damages. And those can be construed as the value of the goods at the time of the theft. So, the moment we filed suit, JT was into this for $1,000. Each month he made a monthly payment. But our lawsuit named a sum closer to $50,000 (three times the purchase price of the car). The statute also allows for the recovery of court costs and attorney fees. It’s cases like these which defendants are not wise to drag out. And they didn’t. A short while later, they agreed to settle. JT didn’t get a gigantic windfall but he did get all his money back and something for his trouble. His attorney fees and court costs were likewise paid. During the case, I took the deposition of one of the dealership’s finance people. That is, I got to question him under oath in front of a court reporter about the case. A few months after the case resolved, I saw the man in a restaurant and he came over and said Hello. He said he no longer worked at the same dealer. I asked him about JT’s case. How common was something like that? “Oh, that never happens. No one ever sues us. Most everyone just paid to get the car back. Why do you think they keep doing it?” He gave me his card. There are many variations on this scam but the upshot is that the buyer is asked to come back to the dealer after the deal has been finalized, to “correct” or “redo” some paperwork. And it happens all the time. Search the term “spot delivery” on the interwebs if you are curious. I implore you: If this ever happens to you, call an attorney before you go back to the dealer. Simply do a web search for an attorney who handles “auto fraud” or even “lemon law” (the fields are closely enough related) and simply ask for some free advice. It might mean the difference between you keeping the car or walking home from the dealer. A few readers will gripe about my “call an attorney” advice here and ask if there isn’t some self-help they can resort to. No, there isn’t any simple advice I can give you like that. The laws on this really are different from state to state. Further, there are a variety of other laws which might prove helpful in your case that were not mentioned above, both Federal and state. Depending on how your situation unfolded, there might be violations of the Truth in Lending Act, Equal Credit Opportunity Act, the Motor Vehicle Sales Finance Act (a state law in Michigan but most states have a similar one) and the Fair Credit Reporting Act, just to name a few. A local attorney who is versed in them is the best place for an aggrieved consumer to start. Attorneys in this field – Lemon Law – have noticed an uptick recently in the number of complaints regarding the newfangled electronics on board US-made cars. Turns out it wasn’t our imagination. This recent article points out that the US cars are near the bottom of the list in recent quality, and the electronics problems are the primary culprit. This is an update of the best selling “Lemon Law Bible,” first published in 2000. Steve Lehto is a well-known attorney who has handled thousands of claims against automakers over defective automobiles. Here, he explains in plain English what you need to know to protect yourself as a consumer. Not just what to do after you have been ripped off, but how to protect yourself against getting ripped off. Includes full explanations of how the Lemon Laws work, as well as an overview of the court system and what to expect if litigation becomes necessary. Also: appendix of the lemon laws of all 50 states, as well as excerpts of the “Federal Lemon Law,” and the Uniform Commercial Code. The author and his book have been featured on CNN and the BBC, and he has been quoted by the New York Times. Two-hundred and three families drove Chrysler Turbine Cars more than a million miles over two years in the 1960s, and from the reports received, they loved them. One-fifth the moving parts of a conventional piston motor, smoother running, less maintenance, and for fuel? Any liquid that burned. The car was a real hit, author Steve Lehto told an audience last week at Stair Public Library, and then it disappeared. Lehto’s visit was part of an author tour through the Michigan Notable Book program. His book, “Chrysler’s Turbine Car: the rise and fall of Detroit’s coolest creation,” is one of 20 books chosen for 2011 by the Library of Michigan. To Read More of this Article Posted by the State Line Observer Click Here! Longtime Chrysler employee Bill Stidham thought he was getting a good deal when he bought his new Dodge Ram pickup. Like thousands of auto company workers and retirees, Stidham was entitled to a big employee discount on his truck. So, as a 32-year Chrysler employee, he believed buying the truck should have been a simple transaction: Go to a Chrysler or Dodge dealer and pay a set price- no haggling, no numbers games, no reason to fear getting a bad deal. “It all seemed pretty straightforward,” said Stidham, 55, of Troy. But a few months ago-about a year after taking his truck home- Stidham got a call from the salesman who cut the deal. “I told him, ‘You were done wrong,’” said Tom Hayes, the 31 year-old salesman who had been fired by Sterling Heights Dodge in January after working at the dealership for about eight months. Hayes later showed Stidham using paperwork from the deal, that he had gotten his employee discount but had paid about $1,700 more than he thought he was paying for dealer installed options. “I got cheated and I want to get it straightened out,” said Stidharm, the lead plaintiff in a class action lawsuit filed this month on behalf of Chrysler employees against Sterling Heights Dodge and another dealership. In a lawsuit filed in April against Sterling Heights Dodge in Macomb County Circuit Court and in interviews, Hayes alleges that the dealership regularly misled Chrysler employees into paying inflated prices, forging customer signatures and charging customers for warranties they hadn’t agreed to. Hayes said he was fired because he threatened to alert regulators to what he said was the dealer’s deceptive practices. His bosses told him he was dismissed for losing his auto insurance, he said. Hayes’ allegations echo those made in another wrongful discharge lawsuit that Anthony Camarda, a former salesman at Meadowbrook Dodge in Rochester Hills, filed in February in Oakland County Circuit Court. He also claims he was fired after threatening to reveal deceptive practices to regulators. The Michigan Secretary of State’s Bureau of Automotive Regulation is investigating both dealerships, Jim Hunsucker, director of the agency’s dealer division, said Thursday. In court papers, Sterling Heights Dodge and Meadowbrook Dodge deny the salesmen’s claims. Meadowbrook Dodge has files a counterclaim against Camarda, accusing him of slandering the dealership. Both dealerships are run by members of the same family. Anthony Viviano, general manager of Sterling Heights Dodge, did not respond to requests for an interview. Nor did Salvadore Viviano, general manager of Meadowbrook Dodge, and Mary Viviano, the dealership’s office manager. This month, both dealerships became targets of a class action lawsuit filed on behalf of Stidham and what’ his lawyer says are potentially hundreds of other Chrysler employees who may have been overcharged thousands of dollars on dealer -installed options and misled into believing they received their employee discount-when they didn’t. “Does Chrysler really have to come out and say don’t steal from our employees?” asked Steve Lehto, the Farmington Hills attorney, who filed the class action lawsuit on Dec. 13 in Oakland County Circuit Court. Lehto said he is urging all Chrysler employees who bought vehicles at the two dealerships in the past six years to take a second look at their deals. Chrysler ,spokesman Mike McKesson said the company is aware of the lawsuits but had no comment because the corporation is not a defendant. Dealerships are paid a fee by Chrysler Corp. for processing employee vehicle purchases but generally don’t make as much money on the deals as they do by selling to the public. Dealers are not required to participate in the employee purchase program. Chrysler has not had complaints from employees about the employee purchase program at any dealerships, McKesson said. That’s because employees don’t know when they are being overcharged, said Stidham, both sales men and their attorneys. In many cases, Chrysler employees were never given key documents that would alert them they were paying more than they should with their discount, they said. The most important document is what Chrysler workers commonly call “the green sheet”-the company-issued “Employee/Retiree New Vehicle Purchase/Lease Agreement.” On the front page of the form is a worksheet that shows how the employee price was calculated- and discloses what the employee is being charged for dealer-installed options. Dealerships are required to give employees a copy of this form, but Hayes said his clients seldom got a copy. Because Chrysler employees trust the dealership, Hayes said, they regularly signed blank documents and rarely read others that were filled out. Hayes said that he and other salesmen at Sterling Heights Dodge were trained to put their hand over parts of documents to hide numbers that might tip off a buyer that the accessories they had been led to believe cost $300 were actually costing them $1,500 or more. Chrysler employees retiree’ and eligible family members are entitled to buy a Chrysler, Plymouth, Dodge or Jeep/Eagle vehicle for the factory invoice price, minus dealer holdback, marketing and advertising costs. Depending on the vehicle, the employee purchase price is generally about $2,000 below invoice. * Before going to a participating dealership, employees or retirees and eligible family members should obtain an employee purchase instruction guide and a “green sheet” purchase agreement form from Chrysler. * These documents tell the purchasers that they are entitled to see a copy of the dealer’s factory invoice for the vehicle and that the employee price is listed on the invoice immediately following the “EP” code. * The dealer is required to give the purchaser a completed and signed copy of the employee purchase agreement when the vehicle is delivered. * While the purchase price of the vehicle is set by a formula, any dealer-installed options such as fabric protection or a sunroof the employee wants to buy are subject to haggling. * Ask to see the original dealer invoice-not a copy, which could have been altered. Make sure you understand what the charges are. * Get a detailed breakdown in writing of all vehicle costs, especially dealer installed options, such as fabric protection, a CD player or special trim. * Keep track of how many documents the dealership has you sign and make sure you are given a copy of each. Pay close attention to a form from the Michigan Secretary of State’s Office, called RD108. This required form for a new vehicle purchase has a section that breaks. out dealer-install options and their “value amount which is the price you are being charged. Make sure this amount is the amount you agreed upon. The Michigan Secretary State’s Bureau of Automotive Regulation licenses and regulates dealers. Call 1-800 292-4204, 8 a.m. to 4:30 p.m. weekdays. © Detroit Free Press, 12-27-96. Where the buyer of a car did not make all the payments and the seller wanted to repossess the car or collect the balance due, the car’s certificate of title is a security agreement under the Uniform Commercial Code -but the seller’s security interest is not necessarily limited to the price listedon the title, the Michigan Court of Appeals has decided. Instead, the certificate of title’s price which, in this case, was lower than the actual purchase price created “a question of fact as to the intended scope” of the seller’s I security interest, the court said. In making its ruling, the Court of Appeals affirmed the trial court’s finding that the title created a security agreement. “The application for a certificate of title showed unequivocally that plaintiff was to have a security interest in the Corvette,” the Court of Appeals said. However, the panel reversed the trial court’s ruling that the seller’s interest was limited to the amount listed on the title and that the seller’s interest was discharged. “While the purchase price is listed as $500 on the title application, that figure is not necessarily a term of the security agreement itself,” the Court of Appeals said in a per curiam decision. The published case is Roan v. Murray, Lawyers Weekly No. 26787 (4 pages). Court of Appeals judges Maureen P. Reilly and Mark J. Cavanagh were on the panel, along with Oakland County Circuit Court Judge Robert C. Anderson, who sat by assignment. Thomas Clemons, who represents the buyer, said that his client “has been willing to pay the money all along.” However, “the seller really wants the car back,” he asserted, noting that the buyer has “renovated the car and made significant improvements to it” since its purchase. “I think that the plaintiff feels that if he took the car and sold it he could offset some of his attorney fees,” the Algonac lawyer said. Clemons said that he does not plan to appeal the decision. Plaintiff James Roan sold defendant Steven Murray a 1968 Chevrolet Corvette for $3,500 in March 1987. The plaintiff was listed as the first secured party on the defendant’s application for the certificate = = tie, which was signed by the defendant. The panel said. purchase price listed on the title was $500.Therefore, the issue in this case was The parties had agreed that the defendant” whether the vehicle title application was would pay the plaintiff in interest-free installments. The defendant made “sporadic” $100 payments to the plaintiff until Aug. 2 I, 1989. At that time, the defendant had paid a total of $1,100 and did not make any additional payments. The plaintiff then sought the return of the car. Meanwhile, the defendant had made improvements to the car. The plaintiff filed a complaint against the defendant in January 1993. In the complaint the plaintiff argued that the application for certificate of title was a security agreement under §9-203 of the UCC. The trial judge ruled that the plaintiff had a valid security agreement. However, the judge said that the plaintiff’s security interest was only for $500-the amount listed on the certificate of title. As a result, the plaintiffs interest had been extinguished because the defendant paid the plaintiff more than $500. The trial court entered a money judgment for the plaintiff in the amount of $2,400 but ordered the plaintiff to execute a release of his security interest on the title of the car. The required components of a security agreement are “minimal” under the UCC, the Court of Appeals said. “Article 9 defines ‘security agreement’ as ‘an agreement which creates or provides for a security interest,”‘ the court said. Section 9-203(1) is “essentially a statute of frauds” and provides that “a security interest is not enforceable against a debtor and does not attach unless the secured party retains possession of the collateral or the agreement is in writing, signed bye the debtor and sufficient to create a security interest in the Corvette,” the court stated. The Court of Appeals then looked to other state court rulings, as well as Michigan statutes and case law, for guidance. In White v. Household Finance Corp., 158 Ind. App. 394 (1973), the Indiana Court of Appeals ruled that “the application for certificate of title was not sufficient to create a security interest because it was not the agreement of the parties, but merely evidence that there may be an agreement,” the Court of Appeals explained. But in Krieger v. Hartig, 11 Wash. App.898 (1974), the court held that “in view of the Code’s general policy to avoid technical formalities, the application for transfer of title was sufficient to create a security interest in compliance with §9-203,” the panel said. Meanwhile, MCL 440.1201(3) provides that an “agreement” is “the bargain of the parties in fact as found in their language or by implication from other circumstances including course of dealing or usage of trade or course of performance as provided in this act (sections 1205 and 2208),” the Court of Appeals said. Further, the Michigan Supreme Court “has recognized that, although a signed writing describing the collateral is required, the remainder of the ‘agreement’ under the UCC may be established by parole evidence of course of dealings, usage of trade, or course of performance,” the panel observed, citing NBD-Sandusky Bank v. Ritter, 437 Mich. 354 (1991). In the present case, the application for certificate of title “showed unequivocally” that the plaintiff had a security interest in the car. “Thus, we conclude that the title application constituted a security agreement which gave plaintiff a security interest in the vehicle,” the panel said. Although the purchase price was listed as $500 on the certificate of title, “that figure is not necessarily a term of the security agreement itself” the panel explained. “Indeed, it is highly questionable whether a written security agreement needs to state any terms of the security agreement other than to sufficiently describe the collateral,” the court said, noting that “[a] security agreement is not required to state the amount of the debt secured. “At most, the representation on the application that the purchase price was $500 creates only a question of fact as to the intended scope of plaintiff’s security interest, not a conclusive statement of the amount of security involved,” the Court of Appeals said. In addition, “even if it were established that plaintiff’s security interest is limited to $500, we reject the briar court’s conclusion that defendant’s initial payment of $1,100 on the debt necessarily discharges plaintiff’s security interest,” the panel stated. “It could be argued that defendant’s $1,100 in payments were made on the $3,000 of unsecured debt, and that none of the $500 of secured debt has yet been paid by defendant,” the court said. “This interpretation seems more consistent with the parties’ actual course of conduct, as apparently neither party sought the removal of plaintiff’s lien on the title once $500 of the debt had been paid,” the Court of Appeals observed. “Because we find that the trial court erred in holding that plaintiff’s security interest had been extinguished and that a question of fact exists as to the extent of plaintiff’s interest, we direct the trial court to address this issue on remand,” the panel said. ‘We note that if plaintiff is entitled to repossession of the Corvette and he elects to retain it, he must provide written notice to defendant. Defendant will then have twenty-one days to object in writing, in which case plaintiff must dispose of the vehicle in a commercially reasonable manner and account to defendant for any surplus,” the Court of Appeals concluded. Who will defend these helpless cruisers? Attorney Steve Lehto, whose office is in Farmington Hills, to the rescue. After hearing about the over zealous police action, and the injustice at the not-so-dream cruise on the WCSX “JJ and the Morning Crew” show, Steve stepped in and offered to defend-free of charge-cruisers who faxed their plight to his office that morning. So far, Steve has gotten five or six of the 15 tickets he is handling, ranging from excessive noise, drag racing and reckless driving, reduced to a lesser charge. We, and attorney Lehto, think it’s a good idea to obey all of the traffic laws at the Dream Cruise and never endanger yourself or anyone else. We were there for the entire event and never saw any reckless driving and very little tire squealing. Mostly just car lovers having a great time as we had. Steve knows about cars, especially bad ones because his specialty is helping car owners who have lemons get their problems addressed. His office number is 855-0866. We on the WHEELS staff salute Steve and the judge who restored the spirit of that wonderful Dream Cruise. Michigan’s Lemon Law protects buyers of new car or trucks in the state of Michigan. People often ask, “What if I buy a motorhome or boat that is defective?” Since the lemon law does not apply to such a sale, “Am I out of luck?” The answer is NO, there are many things you can do if you have purchased a defective product in the state of Michigan which is not covered by the Lemon Law. There are two sources of protection which are of great interest to consumers: the Magnuson-Moss Warranty Act and the Consumer Protection Act. Keep these in mind when ANY product you buy does not perform as it should. The Magnuson Moss Warranty Act (“The Act”) is a Federal law that protects buyers of virtually any goods sold in the US which came with an express written warranty. The law is sometimes called the “Federal Lemon Law” but do not think that it applies only to cars and trucks. It applies to any consumer goods which cost more than $25.00, if those goods came with a warranty. Under the Act, a manufacturer may designate its warranties as “Full” or “Limited,” but they must do so clearly. If a manufacturer, or someone else who is obligated under the warranty, fails to remedy a defect as spelled out in the warranty after a reasonable number of repair attempts, the Act requires the manufacturer to either refund the purchase price or replace the product. If the manufacturer refuses to refund or replace as required by the Act, as they often do, you may have to file suit to get satisfaction. However, the law is very strong, and allows you to not only recover your damages, such as your purchase price, but also your attorney fees and court costs. This means that an attorney skilled in this area should be able to evaluate your situation and take your case without charging you anything out of your pocket for your fees. The Consumer Protection Act also protects you when you buy something that doesn’t work, or when you get trick, misled or swindled in a transaction. This State law prohibits a whole laundry list of activities, some of which we have discussed in this column in the past. However, the most important for the purchasers of defective warrantied goods is the provision that makes it illegal to fail to provide “promised benefits.” The courts of this state have ruled that a warranty is a promised benefit, and that a manufacturer or seller that fails to honor its warranty is violating this section of the MCPA. Further, remember that a warranty is not a promise to work on your product; it’s a promise that they will fix it. This distinction is important, because otherwise, the seller could keep working on your boat or RV, never fix it right, and just waste your time in giving you the runaround. The MCPA also allows for you to recover your damages (or $250, whichever is greater) as well as your attorney’s fees and costs. Again, This means that an attorney skilled in this area should be able to evaluate your situation and take your case without charging you anything out of your pocket for your fees. 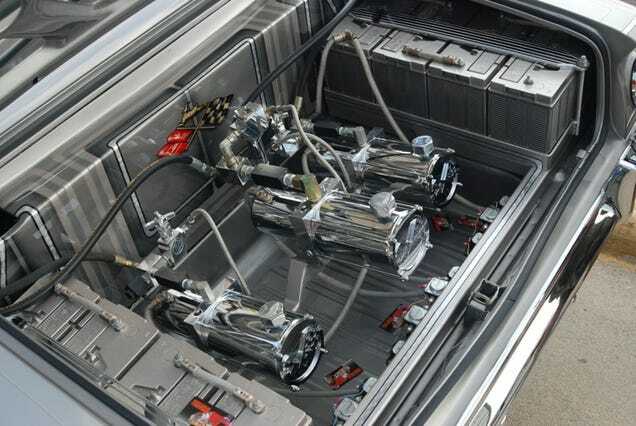 These two laws have been used successfully by buyers of cars, trucks, boats, RV’s, motorcycles, personal watercraft, computers, appliances, furniture, and photocopiers which did not work right. Remember: it doesn’t have to be a car or truck. If you own any consumer product which is defective, these other laws will protect you. There is much confusion around the issue of when a consumer can return a product to the seller and rightfully demand a refund. In fact, this is one of the most commonly asked questions that consumer protection attorneys hear. When can the consumer return a product and get his or her money back? And, more importantly, if they won’t refund your money, what do you do then? Generally speaking, consumers are protected in most purchases of goods when the products are sold by merchants and the goods aren’t sold “as-is.” Simply put, a merchant is usually a business, such as a store or a dealer, but can be a person that holds themself out or advertises as dealing in goods of that kind. A Wal-Mart or an Arbor Drugs is clearly a merchant, as is a car dealer. A person who advertises items or goods for sale and if they do it often is a merchant. A person advertising to sell their car in the local paper is not a merchant if they are merely disposing of their personal car. “As-is” sales are discussed below. The importance of buying from a “merchant” is that all sales of goods in Michigan by merchants are accompanied by an “implied warranty of merchantability.” This is the concept that the goods you are buying will be fit for their ordinary purposes. Since it is an “implied” warranty, the merchant does not have to make any statements or promises to you for this to exist. The implied warranty of merchantability exists on its own. That means that if you buy a refrigerator, it will keep your food cold; a lawnmower will cut grass; a hair dryer will dry your hair. This implied warranty exists along with any other warranties which might come with your product. Although the term “revocation of acceptance” sounds legalistic, it stands for the simple concept that you can return a defective product for a refund. To rightfully revoke acceptance of the defective product, you must do so within a reasonable time and before any substantial wear and tear of the item occurs which is not the result of the defect. A “reasonable” time is not defined within the law, but it would be safe to say that as soon as you discover the defect, you should plan on returning the item at your next opportunity. That the item cannot substantially change in condition means that you cannot use the item or wear it out before returning it. It would probably be a good idea to not use the item at all once you have discovered the need to return it. Otherwise, the merchant might argue that your use of it proves that the item wasn’t defective. As-is sales are when items are sold “with all faults,” so that the consumer is assuming all the risks that may accompany the purchase by way of defects that cannot be easily seen. Many, if not most, used car dealers will sell their cars “as-is.” To do this, they designate the cars as “As-is” sales on the sales documents and on the Buyer’s Guide which is in the window of the car on the lot. There is nothing illegal about “as-is” sales, and you should make yourself fully aware of the ramifications. An “as-is” sale does not come with the protection of the implied warranties described above if the seller disclaims the implied warranty of merchantability. To be a valid disclaimer, it must be conspicuous, and mention the word “merchantability.” Without that wording, in a conspicuous fashion on the document, the sale will still come with an implied warranty; with that wording in a conspicuous manner, there are NO enforceable warranties. An “as-is” car could break down five minutes after you have driven it off the lot and the full repair cost will be your responsibility. This does not mean that a merchant or car dealer can defraud a consumer and hide behind an “as-is” sale either. All an “as-is” sale means is the vehicle is sold with all faults and with no warranty of merchantability. If the dealer lied about the year of the car, or rolled the odometer back, or if the car was stolen, the “as-is” sale would not keep you from going after the dealer to take the car back or pay you damages. Unscrupulous dealers will try to sell salvaged vehicles “as-is” without disclosing the salvage history; or, they will mask known problems in the engine through the use of heavy oil and then sell the vehicle “as-is” knowing the engine will explode days after purchase. 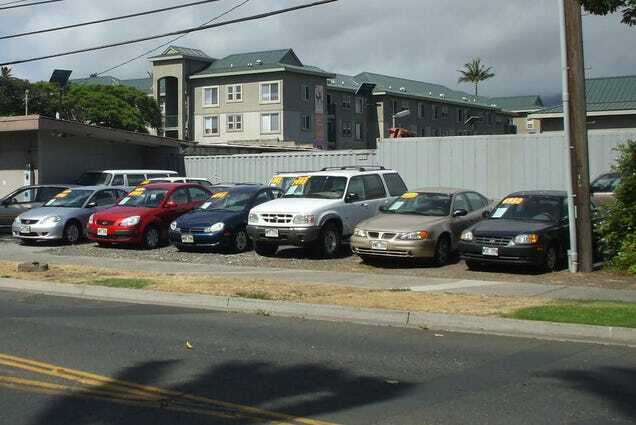 Again, a buyer could revoke acceptance of these kinds of vehicles because the active misrepresentation or fraud is not waived by the buyer in an “as-is” sale — only the implied warranty of merchantability. To protect yourself in an “as-is” sale, have the car fully inspected by a mechanic AND negotiate a price that is fair considering the cost of repairs that you may have to make to the car immediately after taking possession. If you rightfully revoke your acceptance of the product, of whatever kind, the merchant must refund your money to you. If they don’t they are violating the Michigan Consumer Protection Act. The Act specifically prohibits failing to refund the consumer’s money in a transaction that is rightfully canceled or rescinded. If you had returned the item to the seller properly, and they refused to refund your money (or trade-in if you traded a car in on another, for example), you could sue them under this Act and if you won, you would be entitled to a full refund. Further, if you won, the merchant would have to pay your attorney fees and court costs for the action. Even if the cost of the item is small, you’re entitled to a minimum recovery of $250 if you prove that you’ve properly revoked acceptance of the product and the seller refused to give your money back. Remember, you don’t have to live with purchases of items that don’t perform as you expect. As a consumer you have the right to demand your money’s worth. If you don’t get it, return the product and demand your money back! Steve Lehto is an attorney specializing in Consumer Protection and Lemon Law. He is the past chair of the Consumer Law Section of The State Bar of Michigan, and also hosts a weekly radio Consumer Protection call-in talk show on WFDF – 910 A.M./Flint (Saturdays from 11 a.m. to 1 p.m.). You may learn more about Consumer Law by visiting his website at http://www.lehtoslaw.com. He answers all E-mail questions sent to him at Lehto@Kennon.com, or you may call his office at (248) 546-6626.